One of the things we have not done enough of over the last couple of years is celebrate the expertise of our skilling community. King of the Skill celebrates exactly that. You will be able to take part in a competition where the most efficent and knowledgable skillers will win through.This is not about how much time you can spend playing Old School, but how good you are at playing it. 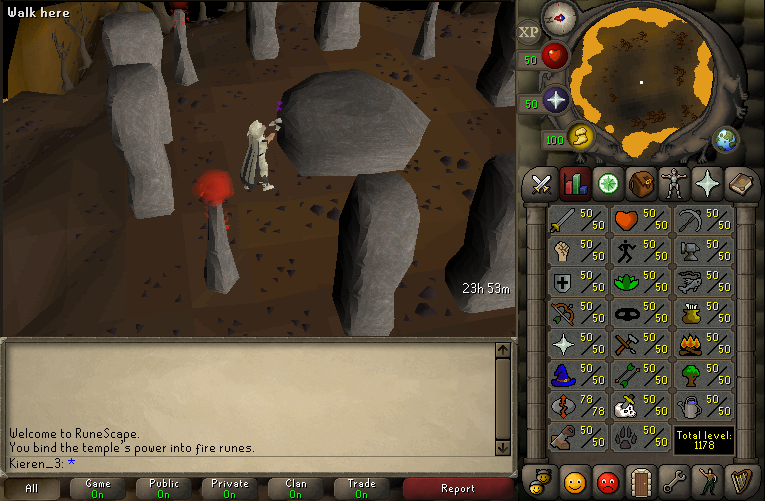 It is time to get back to the core of what Old School is all about and show how good you are at Skilling. All accounts are Ironmen (be aware that anyone using multiple ironmen to increase XP rates or benefit another account will be disqualified). You will only be able to log in to these servers for a maximum of 24 hours game play in the month of November (this won't impact the normal game servers). You will see a counter on screen of how much of the 24 hours you have remaining. Throughout November each member account will be able to log into the King of the Skill servers for a maximum of 24 hours play time as an Ironman. At the end of the November the top players in each skill will win a special prize with the runners up winning Premier Club packages. As we work to finalise the prizes for the winners here is a breakdown of how they will be awarded.